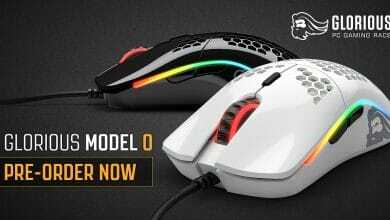 The M65 RGB ELITE is Corsair’s latest full gaming mouse and the successor to the successful M65. 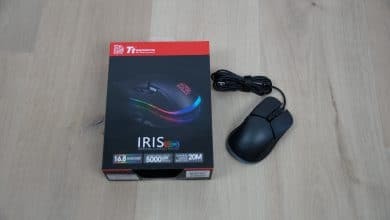 Whether the M65 RGB ELITE can convince not only by its unusual exterior, but also by its inner values and a price of almost 70 Euros, you can see here in the test. 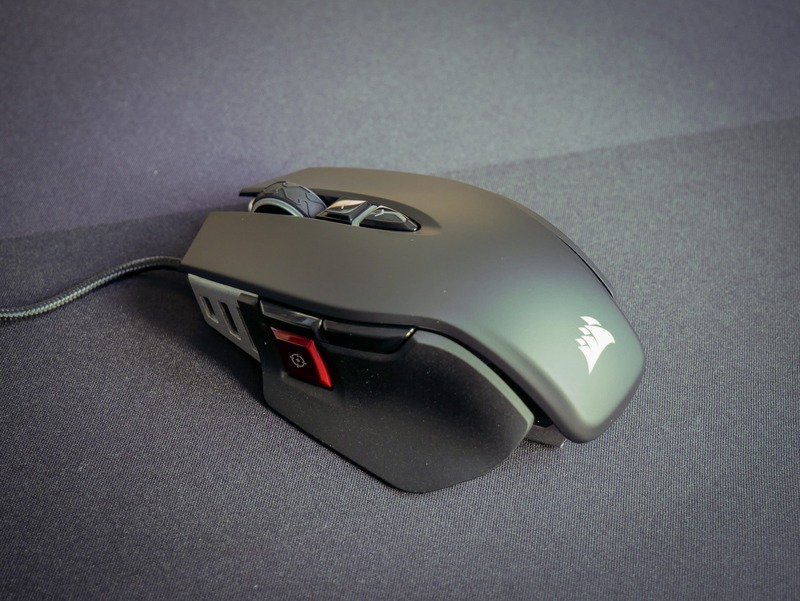 The special design of the M65 RGB ELITE immediately catches the eye. 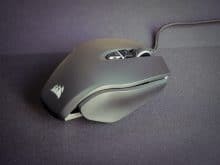 With its clearly visible anodized aluminum frame and two-zone RGB illumination, it’s the star on any mouse pad. 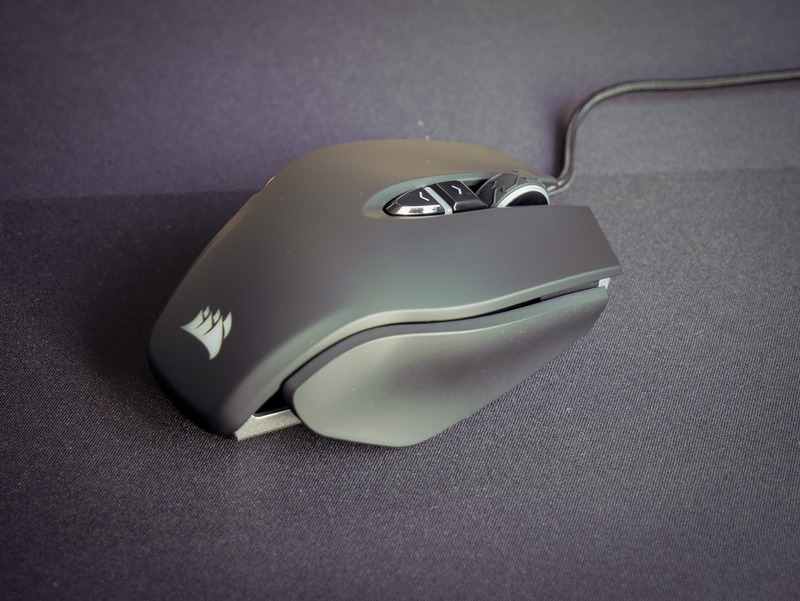 The Corsair logo and rubber mouse wheel are illuminated separately. 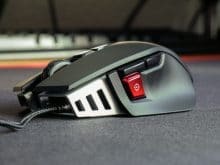 The right-handed mouse has a total of 8 programmable buttons, one of which falls out of the frame: the extra red colored precision sniper button. In addition to the right and left mouse buttons and the forward and backward buttons on the left mouse side, which are now standard, the ELITE also has two DPI switches on the top. 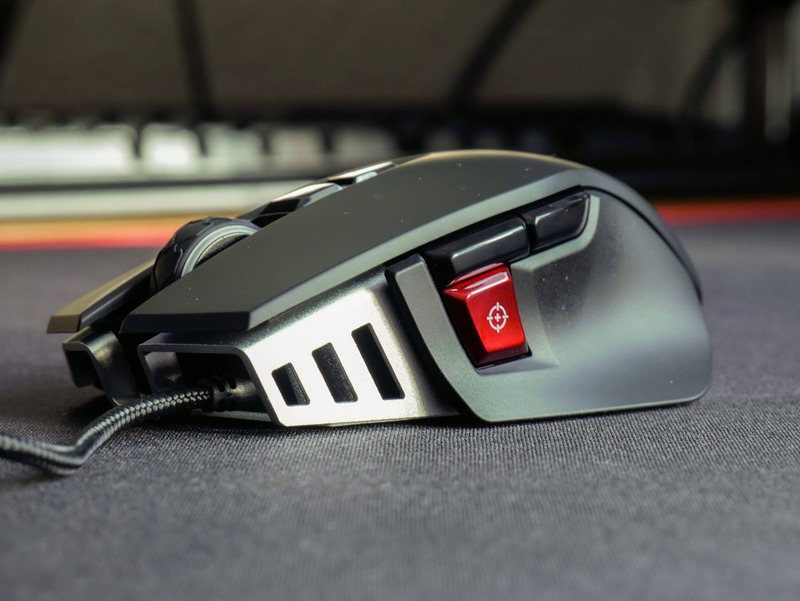 On the underside of the gamer mouse there are screws that can be used to easily remove and add three weights each. 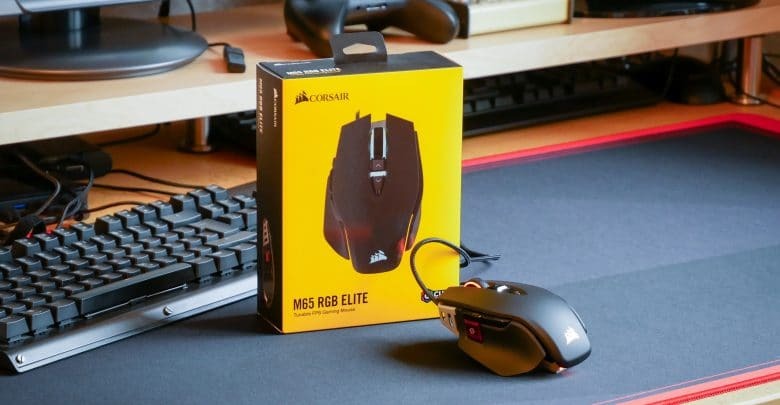 The processing of the Corsair M65 RGB ELITE leaves nothing to be desired. 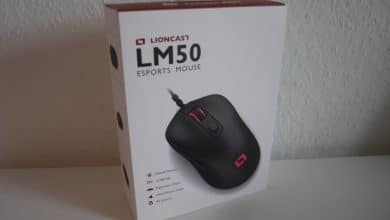 It feels high-quality and lies well in the hand. There are hardly any rubber-coated surfaces, but the special design of the side parts ensures a lot of support. 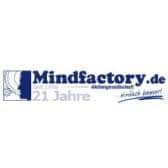 Each group of keys can be felt unambiguously by clearly distinguishing itself from its surroundings in the material used. 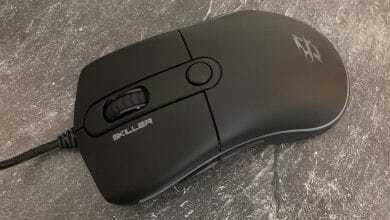 Sharkoon Skiller SGM2 – a Great Gaming Mouse at an Attractive Price? be quiet! 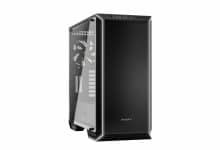 Dark Base 700 Case Review: Cool & Quiet? 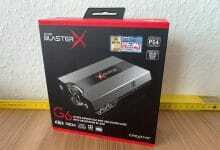 Creative Sound BlasterX G6 USB Sound Card Review: The Portable Allrounder? 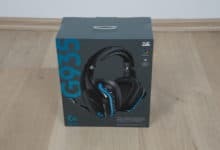 Price: € 69.99 Jetzt bei Amazon ansehen!